I’m a week into my surgery rotation and I want to be a surgeon. I’m on a pretty tame service but it isn’t a walk in the park. I worked 78 hours my first week and loved every minute of it (well almost). I’ve looked stupid, impressed, been chided, been shouted at, even been complimented. Haven’t had anything thrown at me yet. I’ve seen my handful of lap choles, I’ve seen a thoracotomy in the resuscitation bay, I’ve seen a lap Nissen, I’ve seen my share of total and subtotal colectomies, I’ve seen a decompressive craniectomy and a ventriculostomy (while on trauma call), I’ve seen an ileostomy takedown which made my patient happier than I’ve ever seen a patient. 1. 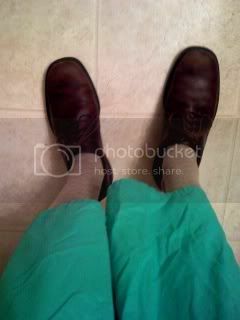 Surgeons always tuck in their scrubs. 2. Surgeons must never have their stethoscope around their neck, it must be in their pocket (their least valuable tool – haha). 3. Carrying anything other than a stethoscope, some gauze and supplies, and a pen light will lead to ferocious mockery. Pity the fool who would dare to bring a reflex hammer onto the surgical wards. 4. Surgery is almost always about the “most likely” or “most common”. They don’t spend a lot of time worrying about about diagnosing things to death, and the consequences are often too severe for delaying interventions. 6. It’s amazing watching some of these open procedures than anyone can survive such rough treatment of their insides. Seeing the force put on things like retractors, you wonder how people ever recover. And I want to do surgery or a surgical subspecialty. That isn’t really a surprise seeing as I thought I wanted to do surgery coming into school. But once here, so much was interesting. So consider this a reaffirmation. I may not know specifically what I’ll try to match into yet, but it will be something surgical.